This hand-turned, wooden Taylor of Old Bond Street Sandalwood Shaving Soap Bowl comes with a sandalwood shaving soap refill, to create a creamy, rich, and moisturising lather for the ultimate shaving experience. The sandalwood scent is one that is loved by generations of men of all ages. 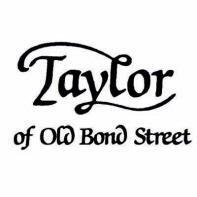 From the world famous Taylor of Old Bond Street, manufacturers of fine shaving and grooming products since 1854. We recommend you use this with a good quality brush- either badger, boar or synthetic to create an optimum lather with this soap. Alternatively, click here to browse our complete collection of shaving soaps.